Set Question Mark is composed by two armchairs with a sinuous design and a unique shape. They look like a question mark and are ideal for decorating living rooms with an original and colorful style. 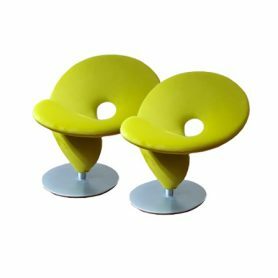 Tonon is a Made in Italy company that produces design chairs and tables.